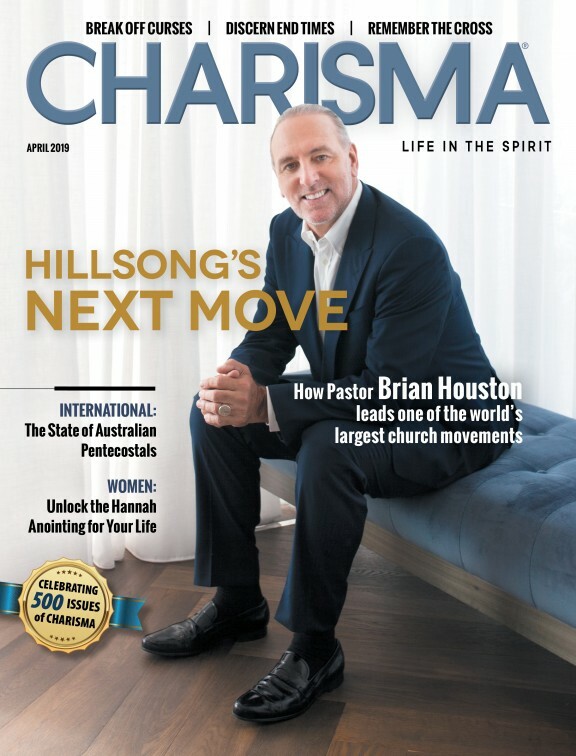 This article was featured in the November 2017 issue of Charisma. After almost 2,000 years, the Bible has a world-class museum of its own. On Nov. 17, the Museum of the Bible (MOTB) opens in the heart of our nation's capital. The eight-story, $500-million museum sits just three blocks south of the U.S. Capitol and has already captivated many. CNN called it one of the year's most-anticipated museums, and the Smithsonian labeled its new neighbor a "must-see." For Cary Summers, president of MOTB, it's about time the Bible was honored this way. "The Bible is the most influential book ever to be presented to the world," Summers says. "It's certainly the most-debated book, the most-banned book, the most-burned book, the most-destroyed book, but it's still the best-selling book, year after year. It offers a set of underlying principles to live by, no matter what your faith is, and we just thought that there was a need to showcase it to the world in a very honoring way but also a very engaging way." MOTB made headlines this summer when it announced admission would be free, echoing its source material: "Freely you have received, freely give" (Matt. 10:8b). But the experience is far from cheap. Executive Director Dr. Tony Zeiss says one of his goals is "to give a first-class museum experience to every visitor. We want them to say, when they leave, that that was the best museum experience in their lives." To that end, MOTB is packed with exhibits and content. Early estimates suggest that to read every placard, see every artifact and experience every attraction in the museum would take nine days. "It's just incredible," says Jeff Schneider, vice president of information and interactive systems. "We think guests are just going to be awestruck when they first come into the museum." Charisma spoke to MOTB's leadership to find out what Christians can expect from this momentous museum—and what impact it could have on America and the world. As guests walk into MOTB, seven floors' worth of exhibits await them. The museum has everything from a performing arts hall—hosting an actual Broadway play, Amazing Grace, in MOTB's opening weeks—to a biblical garden. But the museum's mission is best articulated in three key floors, each dedicated to one of its three focuses: the Bible's narrative, history and impact. The narrative section brings classic Bible stories to life. One attraction, an intricate theater, will host dramatized readings of key Scripture passages. "An example would be Genesis 1 and 2—the creation story," Schneider says. "You have this creation actually happening all around you as you listen to the words. We have several of these dramatized experiences that'll be playing throughout the day." These multimedia experiences cut across all knowledge levels, vividly rendering the text for every demographic. "It's designed so that those who know very little about the Bible will have an enjoyable time, and it won't shoot over their heads," Summers says. "And hopefully, with all the academic input we've had over the years, those who have great knowledge of the Bible will also learn something new." The museum has a different focus than other Bible-themed attractions like the Ark Encounter in that it's not arguing on behalf of the Bible. This is not an apologetics-focused museum. There is no agenda here for anyone to picket. MOTB simply puts the attention on Scripture and lets it speak for itself. "We're not involved in proselytizing or advocating any doctrine," Zeiss says. "We are here for all people. We have the Hebrew Bible, which most Protestants would know as the Old Testament. We have the New Testament. We have the Apocrypha from the Catholic Bible. We are just presenting the Bible—and we have every confidence that people will get engaged with it, and they'll be intrigued by it." Some Christians might find this approach hands-off. But it lets MOTB reach the widest possible audience—including many people who would never attend an explicitly Christian attraction. "They're coming from all walks of life, faith and no faith," Summers says. "Twenty percent of the visitation at the museums in Washington, D.C., is from overseas, so you could have a lot of different visitors coming in. But certainly if you just look at the American side of visitation, this would create a curiosity whereby they would say, 'Maybe I need to start reading this thing,' or 'I never read it. Here's a good starting point. Let me walk through the stories of the Bible. Let me start there.'" Schneider says the technology at this museum is designed for every learning style—visual, audible and tactile. MOTB supports many languages. Attractions have even been designed with disabled individuals in mind. The museum's leadership wanted to be sure nothing would be a barrier for anyone in learning about God's Word. "Not everybody can go to Jerusalem," Zeiss says. "Not everybody can go to the Vatican library and see that. But they're going to get a real sense of it here. The museum's bound to restore and improve people's faith, whether you're Hebrew, Catholic or Protestant. And if guests aren't any of those things, they'll get the notion that maybe they're missing something, and they ought to take a look at this Bible a second time." Of course, a museum dedicated to the Bible must pride itself on biblical accuracy. All content at MOTB has been thoroughly vetted by scholars from diverse backgrounds. Summers says more than 100 Jewish, Catholic and Protestant academics were brought in to offer their input. Even the rides have been well-researched. David Vatcher, CEO of Dynamic Motion Rides (which contracted with MOTB to build the Washington Revelations ride), gave an example of just one exhibit's process. "We were put in contact with three of the scholars—two American professors and one British professor," Vatcher says. "Everything we did in terms of storyline had to be passed through and approved by them as we went forward. That developed over a period of about nine months." Research never stops at MOTB, which is not content to merely coast on others' past discoveries. Zeiss calls it a working museum: "We will have scholars onboard in our laboratory, looking at artifacts and studying them to add to our body of knowledge about the Bible." One of the MOTB's programs, the Scholars Initiative, trains and raises up a new generation of Bible scholars through significant learning opportunities. The program invites institutions and their students to study original biblical relics (or high-resolution photos of unavailable items). Most scholars of any experience level don't get access to those types of items; young researchers have almost no chance. MOTB is changing all that. "Our goal is to get young people—I say young people, but some of them are 30 years old—to engage with material that they never thought they would," Summers says. "With that, I think you develop a whole new level of scholarship within that world who would stay engaged with more of the discovery and things of the Bible. It has been, over the last many years, a somewhat decreasing field. Hopefully what we're doing will not only add to the Bible knowledge but encourage these young people to stay within that research world." The Scholars Initiative could lead to a renaissance of Christian thinking and scholarship. Dr. Curt Niccum, associate professor of Bible at Abilene Christian University, thinks it could lead more students to seriously study Scripture. "Whenever I speak about the museum collections and the Scholars Initiative, people get excited," Niccum says. "Most importantly, young people get excited. I see the program contributing significantly to a reversal of the recent decline in college students interested in theological studies." Could This Museum Impact Christianity? When asked about the societal importance of MOTB, Summers invokes Esther 4:14b: "Who knows if you may have attained a position for such a time as this?" "I don't know why [the museum came together at this] time, but it did," Summers says. "When we started this idea seven years ago, I don't think many would have guessed, on a global level, that we would be where we are right now as a global community." Dr. Michael Brown, author of Saving a Sick America, believes the timing is perfect. "The opening of this museum could not come at a better time, since the Bible is under constant attack in our society while largely being neglected in many churches," Brown says. "When people visit the Museum of the Bible, both Christian and non-Christian, I believe they will come away with a renewed appreciation for God's Word and a fresh wonder at the miracle of the Bible. Perhaps this is part of God's holy, counterculture revolution!" Indeed, the museum has attracted international attention. MOTB's social media has generated even more hits than the Smithsonian's. Advance reservations indicate extremely heavy crowds. Over 1,400 tour groups have already been scheduled; tour slots for November and December have been booked since August. For at least a season, the eyes of the world are fixed on the Bible. MOTB's leaders do not intend to waste this moment. "This is a world-class museum," Zeiss says. "It's not just the United States' museum or Washington, D.C.'s museum. It's for the world. So we're working really, really hard to reach a lot of people—to let them know that this first, world-class museum to that magnificent book is going to open." "We have more Bibles in existence today, on a household basis in the U.S., than ever, but also we have one of the most ignorant generations of Bible knowledge," Summers says. "You've got more out there, but less knowledge in here [in the mind]. So our mission is to engage people in the Bible. We only have that one agenda. That's it." So how can this museum awaken a sleeping generation? One way is through groundbreaking technology. MOTB features revolutionary new technology called indoor navigation. Each guest receives a tablet that creates a custom itinerary based on their interests, biblical familiarity and time to spend at the museum. Each tablet acts as a virtual tour guide specifically tailored to the museum guest. Another exciting attraction is "Washington Revelations," which uses flyboard technology to allow guests to virtually fly through Washington, D.C. The ride lets visitors see firsthand how deeply ingrained Christianity is in our country's most famous monuments. "What better word to choose from than Revelations?" Vatcher says. "It connects to the Revelation of John, and it also connects to the parables of Jesus, where He revealed things that weren't obvious to people who were listening, and yet they were in plain sight to people if they would open their eyes. So we're revealing the words hidden in plain sight in Washington connected to the Bible." Schneider believes this ride will be a wake-up call for many. "I think that's one thing that would surprise people: how the Bible has been in plain sight all over, but they just didn't realize it," Schneider says. "I think this museum will help articulate that and bring that to the forefront. I think they'll see the world differently. If visitors say that they will see the world differently after going through this museum, I think we've accomplished our goal." To make sure this museum is a success, Summers says there are four things Christians can do. First, they can get on their knees and pray. "We have a strong belief in the power of prayer," Summers says. "Pray that we'll get this open, for one thing, and then just for what the impact will be on people's lives." Next, believers can visit the museum or arrange a tour with their church. After that, they can share the word with friends. Word of mouth is crucial for the success of an attraction like this. Finally, if they still want to help, they can donate; after all, the museum is taking a leap of faith by opening to the public free of charge. Zeiss believes in MOTB and its mission. He and his staff have built a world-class museum, creating the biggest possible platform for God's Word. Now it's time to let the Bible shine. "Think about it," Zeiss says. "This museum is the first one of its kind in the history of the world, and it's in our country and in our nation's capital. That's pretty amazing." 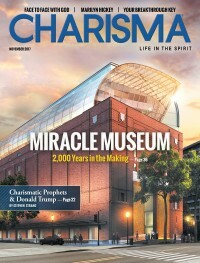 Catch a glimpse of the interactive nature of the Museum of the Bible in the short film at motb.charismamag.com.